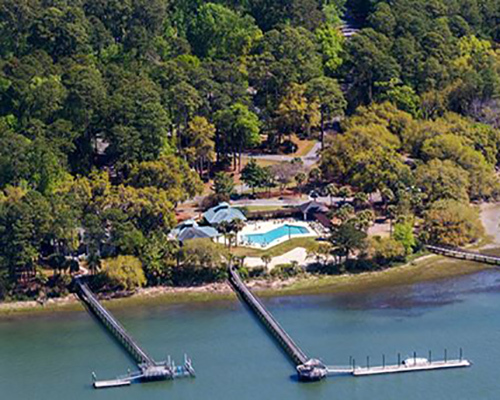 The River Club docks offer community boat slips and deep-water access to the Colleton River, Port Royal Sound and the Atlantic Ocean. 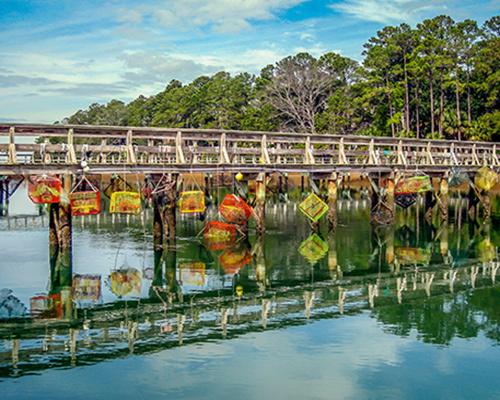 The Sugar Mill dock offers creek access to residents for crabbing and viewing the sunset. 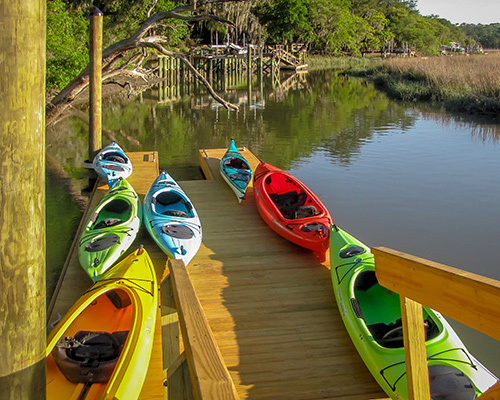 At our Paddler's Point dock, it is simple to launch a kayak into the Lowcountry marsh; Paddler's Club members are able to conveniently store their kayaks in the adjacent storage area. The Atlantic Ocean is accessible from the adjoining Colleton River through the Port Royal Sound for deep sea fishing, while some of the world's best inshore fishing abounds in our surrounding tidal rivers, creeks and freshwater ponds. Residents often catch fish and crab off our community docks. Callawassie Island members also have their own Fishing Club, where members can fish with friends. Depart from our community docks and kayak around the island whenever you wish. Venture through the surrounding creeks and observe the wildlife and beautiful nature views. If you want an adventure with your friends and neighbors, join members of the Paddler's Club on one of their many guided outings, and explore the waters beyond Callawassie Island.